Guillaume Sanchez is a young Subud member whose dream project is to travel around the world and explore cultures through dance. With the support of BPI, SICA, GHFP, SYA, SESI and many individuals, his dream became a reality as he pushed ahead to create the pilot series for his project: Dance Around The Globe. 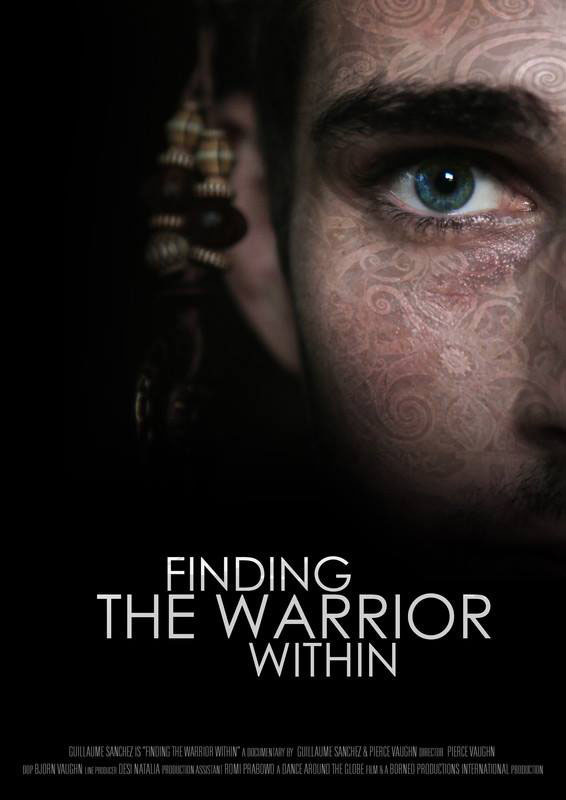 Produced by Borneo Productions International (BPI), the pilot episode for the series is titled ‘Finding The Warrior Within’. 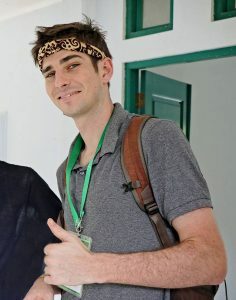 In the film, Guillaume travels to Borneo, Indonesia, where he decides to learn a tribal Dayak dance with a locally renowned dance school. His challenge takes an unexpected turn as he fully immerses himself in an unknown culture and all that goes with it. SESI asked Guillaume to share his experience of the project to date from an enterprise point of view. Bringing your idea to life and the sense of freedom that goes with it, is something many people are longing for, and in Subud, this genuine thirst for entrepreneurship seems even more present. I wanted to share a bit about my journey to understand what it really means for me to create my own project. The short story is: In 2014, me and my cousin Pierce Vaughn (talented filmmaker) decided to create a travel show that would explore the cultures of the world through dance. We created a concept and pitched it to the BBC who told us I wasn't famous enough as a host. So we decided to make a pilot episode into a Youtube series, only to change it to a 90mins documentary, which eventually became a 55mins pilot episode, to finally go back to a Youtube series. This took two and a half years, with no personal income out of it. So how did I keep going? What motivated me, and where did I found the strength necessary to move forward? Lesson n°1: I cannot do it alone. Despite having great personal drive, it's very easy to feel like you should give up, especially when you have no clue what you're doing. The strength of Dance Around The Globe was to always find the motivation needed in others. Pierce was my partner in crime and for the first 6 months it was just him and me. As the project evolved we saw great support arrive from all corners. SICA were the first to commit for a grant which motivated us to crowdfund. Crowdfunding worked which motivated us to look for more grant from GHFP and SYA. We had 10.000$ to create a film of an easy 60.000$ production value. But we still went and did it. Lesson n°2: Listen to people but not too much. Once we had finalised the pilot episode in April 2016, people started telling me 'you should do this and that' but I couldn't motivate myself as every option given to me didn't feel right. Whatever people tell you is the right way to do something, the truth is, it's just A way. It's obviously great to get inspired by others, but for your passion project, it has to move by your rules. Unfortunately at this point, I had no clue what the next step would be. 2016 quickly became an extremely difficult year for me as I felt completely lost. Until I found this one lead. Lesson n°3: Be patient, trust yourself, push forward. A TV network in the U.S was interested in buying the pilot and once again, despite everyone telling me to contact more, I felt confident to focus on this one. This is when the story becomes full of meaning for me, so I'll try to keep it simple. At this point we had a 90mins documentary. The network asked us for a 45mins version. As we chopped off the fat from the film, we realised that it was actually a powerful TV show. While negotiating for 4 months with the network and losing my mind over the idea 'will it happen, will it not', we eventually took the decision to launch a webseries and are now publishing on Youtube. Many people said 'why go back to the webseries?' or 'I told you way before you should have done it as a webseries!'. Well, the whole process we went through during 2016 gave us the tools necessary to launch a successful series: Knowledge, time to re-edit, create more promotional material and not to mention a 500$ grant from SESI which came at the perfect moment and is now what I use to fund the online campaign for the series while I work part time as a waiter to pay my bills. The Biggest lesson is clear to me. This project is a part of who I am and as long as I'm following my inner guidance, I know it will move in the right direction. Once I've reoriented my goal from 'I want to create a TV show' to 'I want to be happy in the process and learn all I can', everything changed. From the beginning, I had no clue what I was doing which is what gave me great flexibility and the strength to change the course of the project when needed. While our series is currently reaching out better than anticipated, I am still in discussion to license the episode on American TV, and have decided to start working on the next episode in New Zealand. There is a good chance Pierce and Bjorn will not be able to produce this next one, but I keep going, so why not follow this path and just see what comes. Please visit the Dance Around the Globe YouTube site here to watch the videos. Check out the Trailer for an overview. The full feature of the ‘Warrior Within’ has been cut down into smaller episodes for YouTube. Be sure to subscribe to the channel as additional episodes will uploaded in coming weeks.